Take a stroll past unique gift stalls from the Hall at Fremantle Markets and you arrive at the Yard, graced by the aroma of food. Chimek is the new kid on the block at Fremantle Markets, serving up a variety of spiced fried chicken, funky burgers and delectable desserts. As I finished work late afternoon past lunch hour, I took this opportunity to head to Fremantle Markets to indulge in some fried chicken, burgers and green tea cheesecake at Chimek. We shared the original Korean Dak Gang Jeong fried chicken ($10). 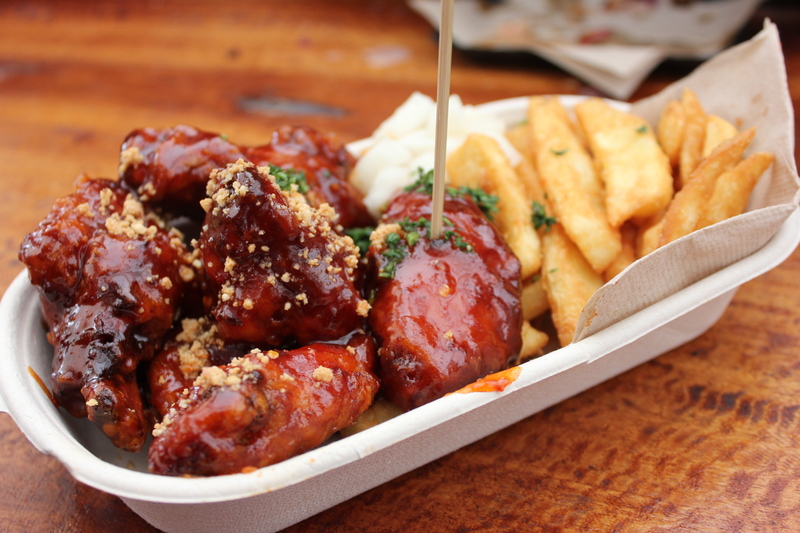 Glazed to perfection, the Dak Gang Jeong fried chicken is a combination of sweet and spicy. It’s crispy and it’s finger licking good. The side serve of chips is a delicious complement to the fried chicken. For those who does not like getting their hands dirty, you can also use plastic gloves provided. We also shared a Famous Charcoal Beef Burger ($10) which comprises of a juicy beef patty, squid ink aioli, sauteed mushrooms, balsamic onion jam, cheese, topped with black charcoal burger buns. 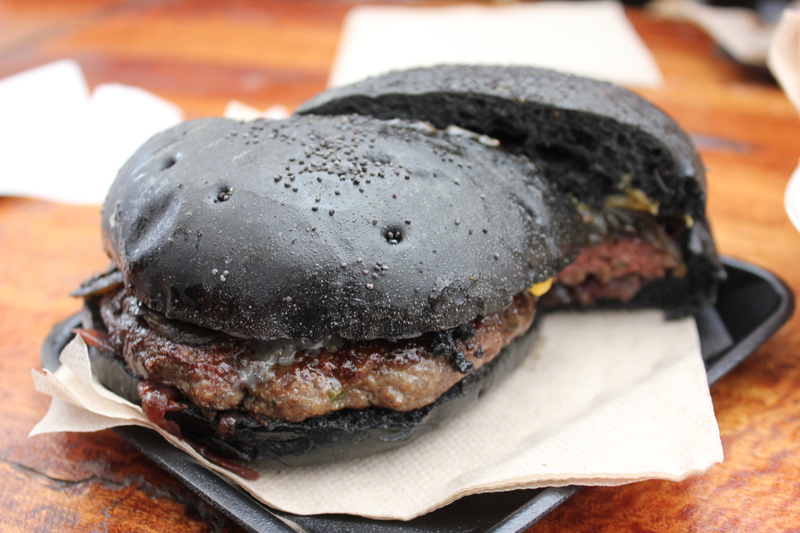 I am so happy to finally see a place in Perth selling burgers with charcoal buns. The first time I have tasted something similar to this was at myBurgerLab during my trip to KL. Wait for a second! Did you mention CHARCOAL? Yes I sure did. Why is the burger bun black? The answer is because the buns are infused in bamboo charcoal powder which made it black. Never judge a book by it’s cover because this famous charcoal beef burger is deliciously good. The bun is soft and fluffy and the patty, tender and juicy. 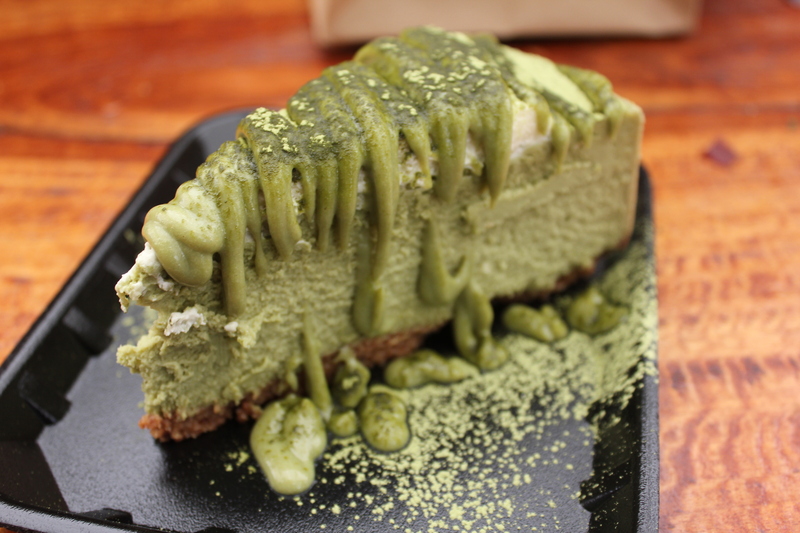 To finish, we shared a Green Tea Cheesecake. It’s smooth, rich and very creamy. If you are a big green tea or matcha fan, this cake is your dream come true. I guess I was quite lucky that there were some green tea cheesecake available during my visit. Overall, I enjoyed the food at Chimek very much and look forward to being back to try their other fried chicken dishes on the menu. Oh and I’ve heard that their Sticky Pork Cranberry Burger is divine. Highly recommended!